The Stormwater Utility Compliance and Credit Program is a part of the Engineering Division, Public Works Department. Stormwater runoff is generated when precipitation from rain and snowmelt events flow over land or impervious surfaces and does not percolate into the ground. As the runoff flows over the land or impervious surfaces (paved streets, parking lots, and building rooftops), it accumulates debris, chemicals, sediment or other pollutants that could adversely affect water quality if the runoff is discharged untreated. The primary method to control stormwater discharges is the use of best management practices (BMPs). In addition, most stormwater discharges are considered point sources and require coverage under an NPDES permit. The National Pollutant Discharge Elimination System (NPDES) Stormwater Program regulates stormwater discharges from three potential sources: municipal separate storm sewer systems (MS4s), construction activities, and industrial activities. Most stormwater discharges are considered point sources, and operators of these sources may be required to receive an NPDES permit before they can discharge. This permitting mechanism is designed to prevent stormwater runoff from washing harmful pollutants into local surface waters such as streams, rivers, lakes or coastal waters. In compliance with current OEPA requirements, the Stormwater Utility Division was formed to overview and regulate Lima's stormwater runoff. Funded by the Stormwater Assessment, the division is able to design, regulate, maintain and improve upon the City of Lima's stormwater facilities. If you have any questions or concerns about the current assessments or possible BMPs, please feel free to contact our Stormwater Manager. If you have questions or concerns regarding water or sanitary services, please visit our Utility Department. Understanding how your business or organization measures up simply begins with a conversation that centers around landscape and waste management practices. For more information on how your business can be recognized as a Stormwater Superstar, contact Beth Seibert at (419) 223-0040 x107 or beth@allenswcd.com. Seven Lima businesses and organizations are being honored as 2018 Stormwater Superstars. This distinction recognizes a variety of efforts and practices from the individual businesses that each have an impact on stormwater runoff and ultimately a clean and healthy Ottawa River. The Stormwater Superstar recognition is a joint project between the City of Lima Stormwater Department and Allen Soil and Water Conservation District and is designed to be an annual showcase. To date, 17 local businesses have been honored. The Allen SWCD website at allenswcd.com gives more information on the 2018 Stormwater Superstars and their showcase best practices. 2019 Tree Rebate Program Kicks-Off! Entering its fourth year, the City of Lima's Tree Rebate Program kicks off a new season! 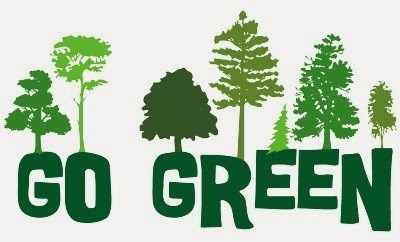 Open to City of Lima residents and businesses, 50% rebates are available for any approved tree planted within city limits (limit of two trees per parcel per year). See FLYER (PDF) for more details and the Rebate Program Tree Guide (PDF) for ideas. 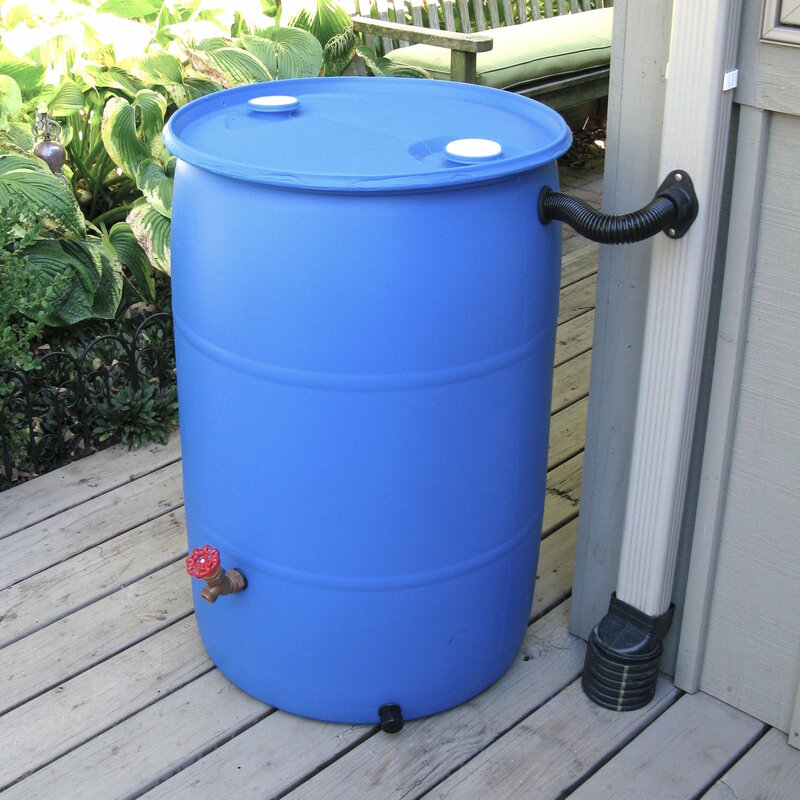 Rain Barrels are a perfect way to capture and re-use nature's precipitation! Learn more about the Rain Barrel Program HERE. The City of Lima recently constructed a "Green" parking lot located downtown at the southeast corner of North Union Street and East High Street. In an effort to reduce stormwater runoff into public sewer systems, the new parking lot utilizes Best Management Practices (BMPs) to improve water quality and reduce water quantity. Included BMPs include permeable pavers and vegetated filtration areas. Learn more about the project (PDF) and how it helps reduce flows into our public sewer systems and ultimate reducing the load at our Waste Water Treatment Plant here. Through its Flood Hazard Mapping Program, FEMA identifies flood hazards, assesses flood risks, and partners with States and communities to provide accurate flood hazard and risk data to guide them to mitigation actions. Flood Hazard Mapping is an important part of the National Flood Insurance Program, as it is the basis of the NFIP regulations and flood insurance requirements. FEMA maintains and updates data through Flood Insurance Rate Maps (FIRMs) and risk assessments. FIRMs include statistical information such as data for river flow, storm tides, hydrologic/hydraulic analyses, and rainfall and topographic surveys. FEMA uses the best available technical data to create the flood hazard maps that outline your community's different flood risk areas. For more information on FEMA flood hazard mapping, click HERE. It shall be unlawful for any person to begin construction or other development activity including but not limited to filling, grading, construction, alteration, remodeling or expanding any structure, or any watercourse wholly within, partially within or in contact with any identified special flood hazard area (i.e. 100 year (FLD_ZONE)), as established in section 12366.05 of City of Lima Codified Ordinances and these maps, until a floodplain development permit is obtained. View a copy of the City of Lima Ordinance (PDF). View the City of Lima's Floodplain List (PDF). Access the 2013 City of Lima Floodplain Map Booklet (PDF).